Several entrepreneurs running early-stage cannabis businesses are looking to an unlikely place for help: deep in the heart of Texas. Nine startups, including five from out of state, are now enrolled with and receive assistance from the Texas Cannabis Industry Association (TCIA), an incubator that offers fledgling marijuana-related companies everything from advice on how to write business plans to pro-bono legal work. The organization also advocates and lobbies for cannabis issues at the statehouse in Austin. The overarching idea is to lay groundwork for cannabis companies that will inevitably be operating in the state, said TCIA executive director Kayla Brown, a Texas A&M law student. The organization is currently working with a range of marijuana companies, including dispensaries, a grower and technology startups, among others. Brown co-founded the group with Patrick Moran, the chief executive officer at Acquiflow, a Texas-based distributor of industrial agriculture products that can be used in cannabis cultivation, but also in production of other crops. The company partners, for example, with grow lamp producers Heliospectra and Brite Ideas. While the Lone Star State seems like the last place a cannabis business owner would go to seek help on how to start, operate or develop a venture, Texas lives up to its reputation as being business-savvy, Moran said. In fact, Texans’ independent nature and mind-your-own-business attitude is positive for those hoping to monetize what he sees as the state’s inevitable legalization of cannabis, he added. The incubator started last year when Moran, who also happens to be a mentor for Colorado-based incubator CanopyBoulder, met Brown at a conference in Houston. Brown founded the only law school-based NORML chapter in the country, called Legally NORML, and was hoping to do some advocacy work with the goal of getting marijuana legalized. The duo realized that with 25 million people – five times the population of Colorado – business opportunities abound in Texas. The pair collaborated to form TCIA to address how to not only work with businesses that want to become a part of the growing industry, but also with the state Legislature to promote legalization. 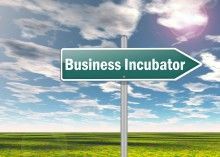 Brown takes on the educational and entrepreneurial development aspects of the incubator while Moran works more on the advocacy and lobbying sides. Twenty-two Texas A&M law students work with TCIA, with some offering pro-bono legal advice for the businesses that have approached the organization. TCIA counts among its supporters some big names in the cannabis industry: CanopyBoulder, MassRoots and several NORML chapters. It also has supporters from outside the space, including the Texas A&M Law School, which Brown said is trying to establish itself as the go-to school when it comes to marijuana law. But it’s still Texas, which means advocates will have to redouble efforts to make legalization – whether it’s CBD-only, full medical marijuana or recreational cannabis – a reality. Many older lawmakers still believe what they’ve been taught for decades: marijuana is a gateway drug and should be outlawed. Younger members of the Texas Republican caucus have said they keep hearing from older members the same tired lines about cannabis, Moran said. Texas lawmakers proposed two bills to legalize medical marijuana last month, while others have sought to at the very least decriminalize cannabis possession, meaning police would simply issue a ticket to those caught with certain amounts. One Texas senator, David Simpson, a conservative who is borderline libertarian, proposed striking all references to marijuana from state law and allowing all forms of cannabis production, possession and consumption. The Marijuana Policy Project has said Texas has an outside chance of legalizing some form of marijuana by 2020. TCIA’s goal through its incubator and lobbying efforts is to show lawmakers, regardless of age or political affiliation, that businesses operating within the cannabis space can do so responsibly and ethically, Brown said. “Essentially, Texas representatives want to see an industry capable of handling legalization before they will legalize,” she said. I had the good fortune to attend the inaugural dinner conference for TCIA and it was a wonderful, eye-opening experience. I met many entrepreneurs that were already working on new technologies in watering systems, lighting, building design, distribution models, and from new untested ideas to ones that had just received patents. There is a growing cannabis business community in Texas that is positioning itself to support the explosion of demand as soon as the barriers are removed. I am involved with advocacy and lobbying in Austin, and networking is crucial for success and good policy.